Dark violet color. Aromas of blueberry pie, ripe melon, and orange blossom with a satiny, crisp, fruity light-to-medium body and a graceful, medium-length dark chocolate and tobacco finish with silky tannins and light oak flavor. An effortlessly drinkable and intriguingly fruity red blend that fills the palate with satin-like tannins. 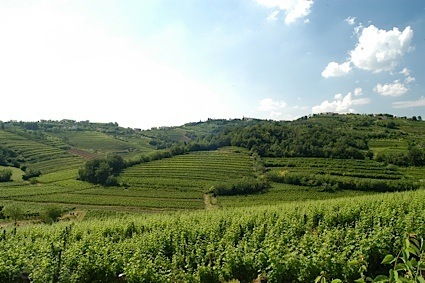 Bottom Line: An effortlessly drinkable and intriguingly fruity red blend that fills the palate with satin-like tannins. 87 • William Heritage 2016 Pumpkin Hill Vineyard Estate Grown, Chardonnay, Outer Coastal Plain 12.9% (USA) $28.00. 84 • William Heritage 2016 Estate Reserve, Chardonnay, Outer Coastal Plain 13.4% (USA) $30.00. 88 • William Heritage NV Jersey Strong Dry Red Blend, American 13.5% (USA) $14.99. 88 • William Heritage 2017 Coeur d’Est, Outer Coastal Plain 13.7% (USA) $21.00. 88 • William Heritage Winery 2016 Coeur d’Est, Outer Coastal Plain 13.5% (USA) $21.00. 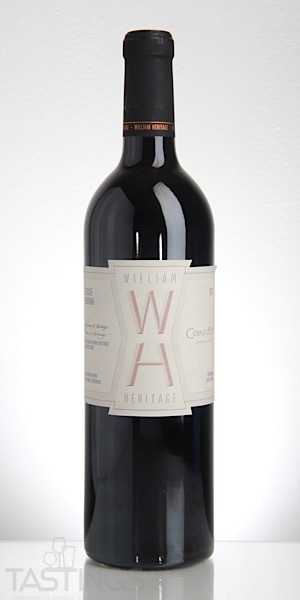 William Heritage 2017 Coeur d’Est, Outer Coastal Plain rating was calculated by tastings.com to be 88 points out of 100 on 12/17/2018. Please note that MSRP may have changed since the date of our review.